Here is a project Insight Observatory hadn't planned on doing with the 16" f/3.7 Astrograph reflector telescope (ATEO-1). 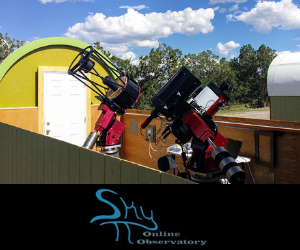 However, with interest from other Astronomical Telescopes for Educational Outreach (ATEO) users on how the January 20th - 21st total lunar eclipse of the moon would look through this telescope, what was there to lose by spending some time trying to capture the lunar eclipse during totality? Nothing gained if nothing ventured. 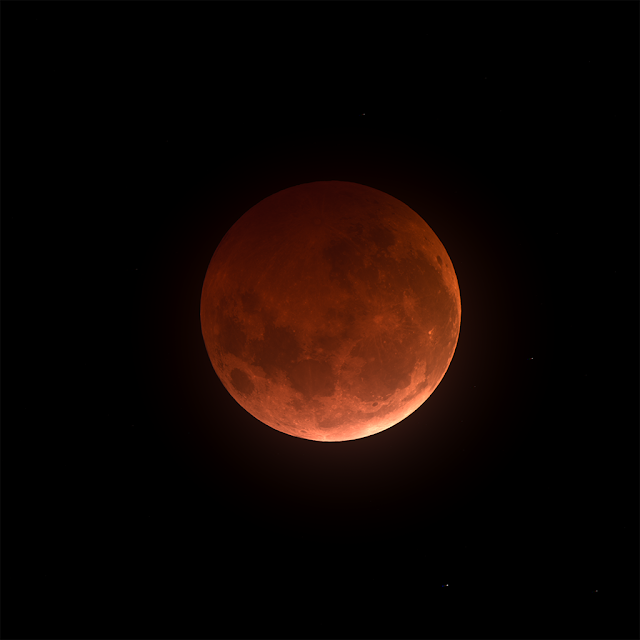 Total Lunar Eclipse imaged at Totality on 01/20/2018 at 22:19:41 MST - Exposures: 14 Seconds Lum - 20 Seconds RGB - Bin 1x1 - Image by Muir Evenden. Now... If you recall... 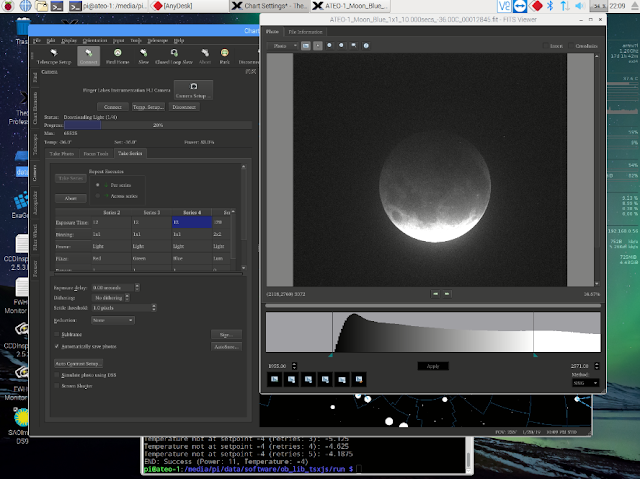 Insight Observatory's ATEO-1 imaging system is configured primarily as a deep-sky imaging platform, so we didn't know whether the moon would be too bright (even at totality) for its fast f-ratio and fastest CCD camera shutter speed. In addition, the Proline 16803 CCD camera is outfitted with a colour filter wheel on a monochrome camera, therefore we had to switch filters quickly between the short Luminance, Red, Green and Blue (LRGB) exposures. Screen Shot of capturing Lunar Eclipse Images on ATEO-1 using TheSkyX in New Mexico remotely from Malbork, Poland. Would all this come together? The short answer was a surprising yes! 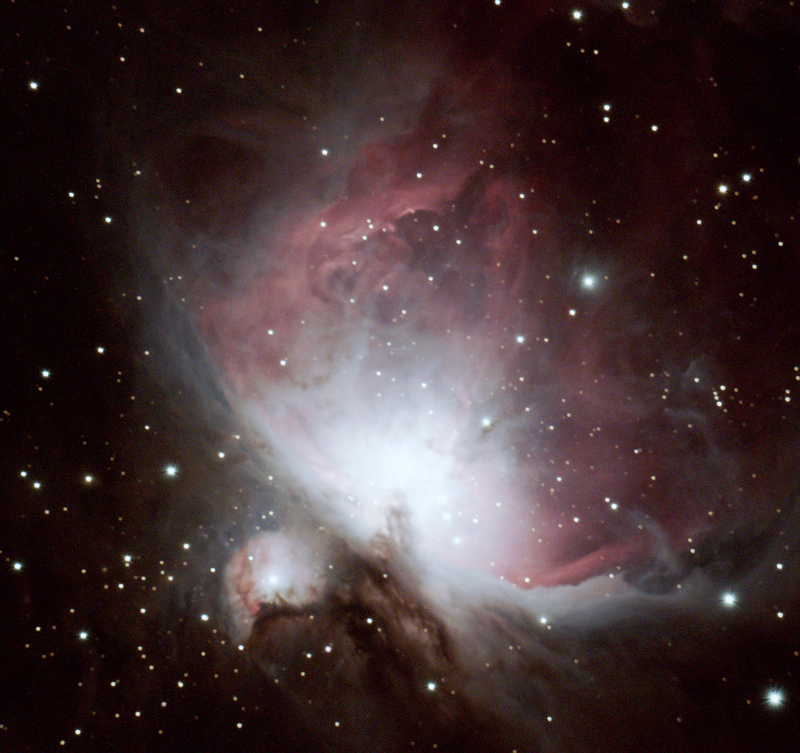 Unfortunately, we didn't get a chance to optimize the focus before imaging, but I think our results are entirely satisfactory considering what we knew beforehand.